Are we ready to face the fourth industrial revolution – Artificial Intelligence? Kuala Lumpur, 15 May 2017 – The World Islamic Economic Forum Foundation (WIEF), through its WIEF Education Trust (WET), organised the 7th WIEF Global Discourse – ‘Artificial Intelligence and the Future’ at Kuala Lumpur Convention Centre today. It is believed that the Global Artificial Intelligence market is poised to grow at a CAGR (Compound annual growth rate) of more than 25% through 2014 to 2022, to reach approximately USD 40 billion by 2022. 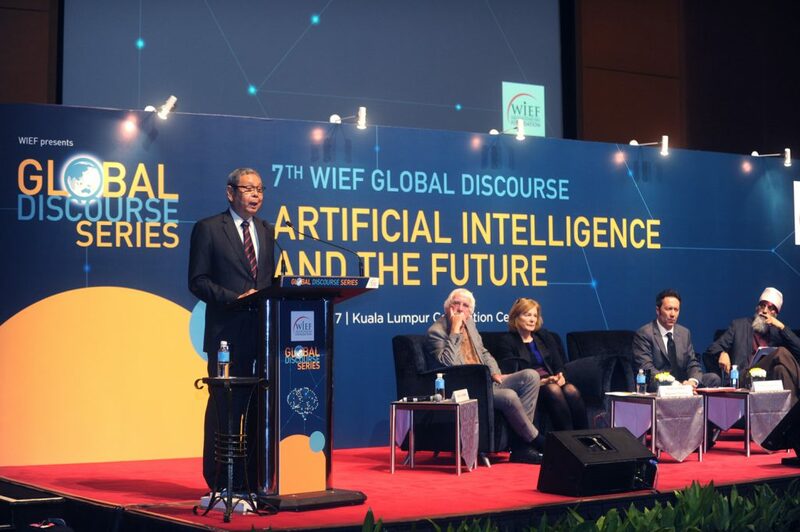 The 7th WIEF Global Discourse deliberated on how AI (Artificial Intelligence) influence our daily lives and are playing a major role in science and medicine, bringing massive shift in how people perceive and interact with technology. Machines are performing a greater and greater number of tasks and, the growth of the effectiveness and ubiquity of AI methods have also stimulated thinking about the potential risks associated with advances of AI. Opening speech given by Tan Sri Dr. Wan Mohd Zahid Bin Mohd Noordin, Chairman, WIEF Education Trust & Chairman, Board Of Advisors, Higher Education Leadership Academy. “AI is part of science and technology and there is interest in AI research because its results can be employed in existing or new applications that increase efficiency in professional environments, add to safety in public and domestic environments and can be used to make such environments more liveable and more human-friendly.” said Professor Nijholt. Prof. Zyed Zalila, President and CEO, R&D Director, Intellitech & Professor of Fuzzy Mathematics and Artificial Intelligence, UTC Sorbonne University, France answering question from the audience. According to Zinnov, there are nearly 2,000 start-ups in the global AI industry, with more than half of them based in the US (1,170); China (55) and India (169)*. Outside the US, China and India are attracting the most AI-based capital, which underscores Asia’s significant potential in this field. “AI’s impact on Asia will be far-reaching over the next few decades, creating an economic value between USD 1.8 trillion and USD 3 trillion a year by 2030 in the region,” said Tan Sri Dr. Wan Mohd Zahid bin Mohd Noordin, Chairman, WIEF Education Trust. “Asia has been a late entrant in the AI world. The good news is that Asian corporates and government realized the importance of AI as a strategic advantage in the long term, and have accelerated efforts to narrow the gap over the past 3-5 years” added Tan Sri Dr. Wan Zahid. 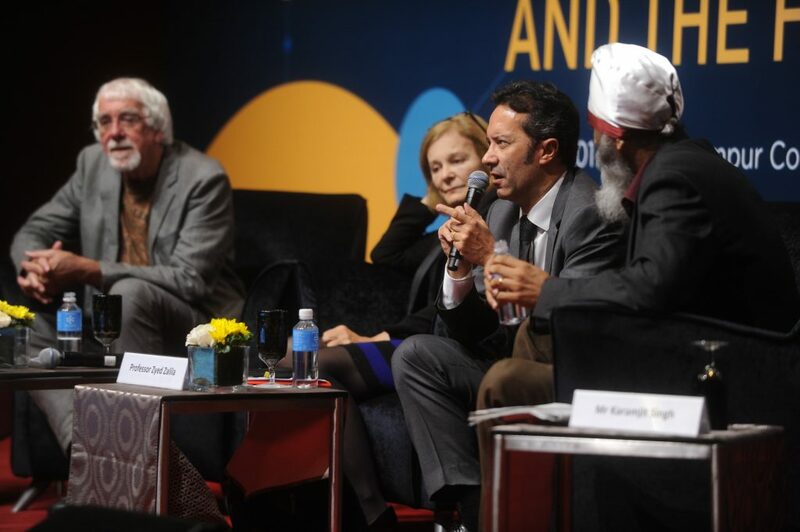 AI is one of the topics which will be further discussed in the upcoming 13th WIEF. The theme for this year’s Forum is on “Disruptive Change – Impact and Challenges”. The 3-day Forum is taking place at the Borneo Convention Centre in Kuching, Sarawak starting Nov 21st, 2017.